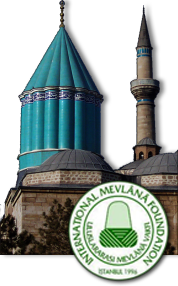 Who is Mevlana? Mevlana's Works Mevlevi Order What is Çelebi? In addition to his best-known book of verse, Masnawi, the first eighteen lines of which were written down personally and the rest dictated to his student, Chalabi Husameddin, he also wrote Divan-i Kebir; Fih-i Ma-Fi, Mecalis- i Seb’a and Mektubat. It contains 26 thousand couplets in six volumes, consisting of stories inspired by the Quran’s teachings about all that is created, as well as Hz. Mohammad’s words and their morals. It connotes “What’s within is within” and contains Hz. Mevlana’s lectures. Mecalis-i Seb’a: As the meaning of the title “Seven Sermons” implies, it contains Hz. Mevlana’s seven lectures. It consists of the 147 letters Hz. 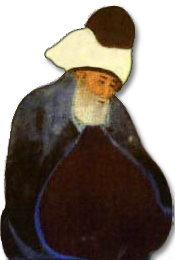 Mevlana wrote to relatives, including his son Sultan Veled, and to friends, rulers, and officials of the State. The daily language of the time was Turkish, the scientific language was Arabic, while Persian was the language of literature. 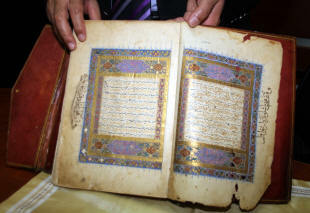 For this reason Hz Mevlana’s books are all in Persian. They were all translated into Turkish at a later time. In his books, Hz. Mevlana talks about how to be a wholesome human being: one who has inner peace and harmony, one who is both aware of and appreciates God’s blessings, one who takes a stand in the face of life’s hardships, one who is tolerant and loving. Abstract of my life are these words: Raw I was, Cooked well, Burnt I got. Hz. Mevlana, who summed up life in the above words, passed away on 17 December 1273 following a brief time on his sickbed and reached out to his Allah and his beloved prophet. Mevlevi disciples call this night Seb-i Arus (wedding night), the night of unity. Whatever you are looking for, look in yourself not around. Bahaeddin! Should you wish to be in Heaven forever, be a friend to everyone. Demand not extra nor be extra Be like ointment and candle, not a needle. Speak not of evil, Nor preach of evil, Nor think evil! And that joy is Heaven itself. Should you speak of a man in hostility, you will always despair. And this is Hell itself. As soon as you ponder friends, flowers will bloom in your heart’s garden, filling it with roses and basil. As soon as you ponder foes, your heart’s garden will be filled with thorns and serpents. Your heart will grow tired and you will lie idle. All prophets and saints did likewise, reflecting their character outwards. Fellow human beings, overwhelmed by their beautiful demeanor, voluntarily and happily followed their path.